Halloween Coin is also known as "HALLO" and works free of a reserve bank or single administration. The decentralized digital asset Halloween Coin can be mined for profit. It utlizes the X11 algorithm and the proof of work and proof of stake (pow/pos) consensus. We don't have any cloud miners listed for Halloween Coin yet, check back soon! 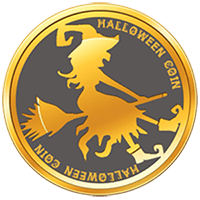 We don't have any exchanges listed for Halloween Coin yet, check back soon! We don't have any wallets listed for Halloween Coin yet, check back soon! We don't have any debit cards listed for Halloween Coin (HALLO) yet, check back soon!